Manfred Flügge’s Fry, Bingham, Sharp: The Americans Who Saved Lion and Marta Feuchtwanger, published by Villa Aurora, has been reviewed in the International Feuchtwanger Society Newsletter (Volume 21/2016). 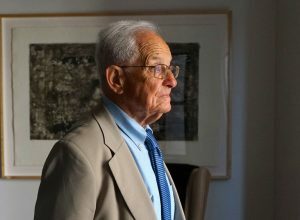 Sad news–Peter Feuchtwanger the pianist has died. 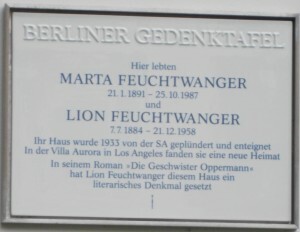 His obituary in the Süddeutsche Zeitung describes him fondly and rather well, and also sketches in some background about Bavaria and the Feuchtwanger family, including Lion. 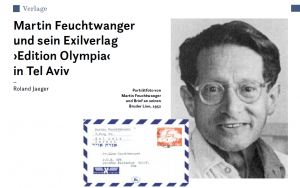 There will be a screening of Herb Krill’s 2008 film Feuchtwanger lebt! 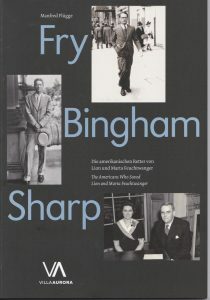 at Lichtspiel in Bern, Switzerland tomorrow night, accompanied by a live introduction by Herb. 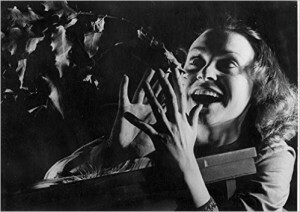 Konrad Wolf’s 1971 film version of Goya will be screened at Lichtspiel two weeks from now. 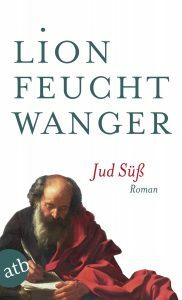 Art historian Dr. Roland Jaeger’s article on Lion Feuchtwanger’s brother Martin in Aus dem Antiquariat 2/2016. 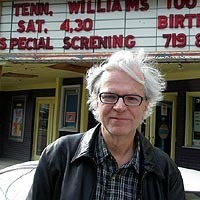 A further version with additional research will appear in due course, writes Roland. 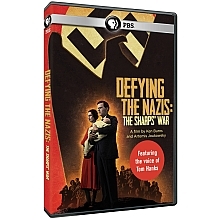 The New York Times has run a Books Section article (‘Edgar Feuchtwanger Bore Witness, Horribly Close to Hitler,’ June 2nd 2016) coinciding with Edgar’s talk at the 92nd Street Y cultural center. 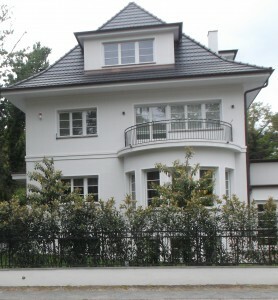 Edgar’s memoir Hitler, My Neighbour (Bretwalda, London), written from his own contemporary viewpoint as professional historian, was published in the United Kingdom in 2015 (see 1st October 2015 post). 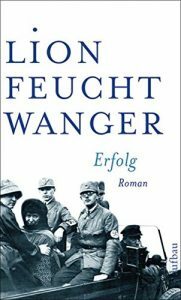 This Spiegel article from 2009 and an earlier piece in the Neue Zürcher Zeitung provide valuable insight into Lion Feuchtwanger’s nomination for the Nobel Prize for Literature in 1930 following the publication of Erfolg. 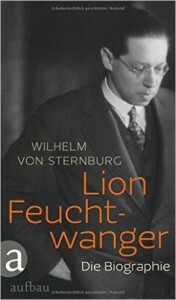 The jacket of the 2014 edition (reissued, with new material) of Wilhelm von Sternburg’s biography. The photo by E.O. 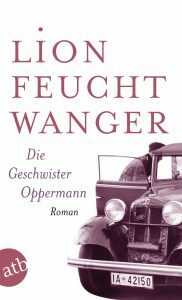 Hoppé was taken at Lion Feuchtwanger’s rented apartment at Hohenzollerndamm 34 in Wilmersdorf (Berlin), writes art historian Dr. Roland Jaeger in the latest International Feuchtwanger Society newsletter (19/2016).